Every once in a while a finely tuned drama like this comes along and grabs you unaware. The premise seemed simple, almost silly. I thought it was going to be another cheesy romance with some silly work comedy thrown in. Oh how wrong I was. This is one of those rare shows that just does everything right. Every character is well developed. They give you enough time to explore the world – the family and friends and dynamics of relationships. No one feels plastic or cliche. 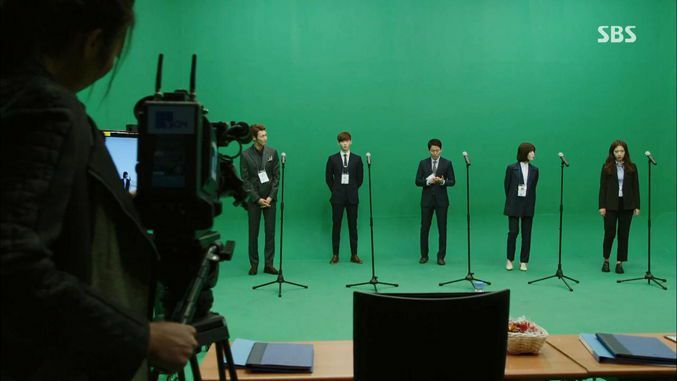 By the end of episode five, you have a deep commitment to all the players on the stage. It isn’t just about a cute couple falling in love. This is a drama about lots of people and how interpersonal relationships shape your life, for better and worse. The Plot, Short Version: After inaccurate news coverage leads to tragedy, a young man grows up and tackles the enemy from the inside by becoming a reporter. Overall Rating – 10/10. Do Reporters Go To Heaven or Hell? I hardly know where to start so I’ll start with this guy. Just look at this dude with his pastel shirt, busy tie and checkered jacket. Notice he has a cravat? 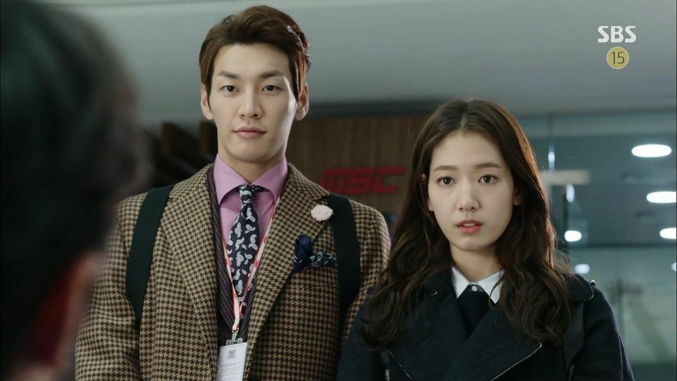 Bum-Jo, played by Kim Young-Kwang, is hands down my new favorite “rich boy” of all time. First of all, Bum-Jo’s a total mama’s boy. His mother has clearly fussed over, coddled and spoiled this guy since birth but he didn’t turn out rotten or entitled. Just blithely and happily rich. Bum-Jo’s a big sweetheart. Actually, his mama was just as fun to watch as he was – she was sweet as pie to her son and a cunning, ruthless business woman behind the scenes. She also had an equally amusing and bizarre sense of fashion (which oddly toned down over the course of the show) – that was both over the top and yet flattering somehow to their figures and personalities. I found his face to be intriguing. He’s both odd looking and handsome… in an odd way. There’s something childlike about his sweetness and naivete of the pressures, stresses, and dangers of the world. He just doesn’t know. His obliviousness is adorable. He goes to work with the same enthusiasm and enjoyment as someone going to summer camp. Even though there may be mosquitoes, he’s just along for the ride. Now let’s talk about THE REVENGE. This woman is blamed for everything that went wrong. She’s our main female character In Ha’s mom. Did reporter momma deserve all the blame? Certainly some of it. Should it be an eye for eye world or will humanity ever evolve past it? How much accountability should fall on the shoulders of reporters vs readers? How much trust can you ever place in the media? These are all interesting questions. In this drama, the reporters tell you the stories, but the public ultimately creates the outcomes. The mob mentality, our eagerness to embrace sensationalized stories and scandals, how willing we are to sling mud at one another. The older brother grew up alone, abandoned, everyone he loved dead. The younger brother grew up under the loving care of a small family that took him in. He took on the identity of Dal Po, leaving his sad past behind and never revealing the secret of his family tragedy to his new family. But his new family had a direct tie to his past, so he never fully escaped it. Both boys were haunted. One grew up to be a well adjusted young man. The other grew up to be a murderer. Oh, the tragedy! I was riveted by the performances of these two young men. The older brother (played by Yoon Gyun-Sang, pictured below) held the weight of thirteen years of hopelessness and sorrow in his eyes. I mean… just look at his face. So handsome, so broken. Dal Po proved his could cry with the best of them – and I was blown away by how well these two actors responded to one another – I really felt brotherly affection and regret and deep love between them. I cried a big ole bucket of tears during this show. I mean… almost every other episode. The worst was around Ep 12, when Dal Po asks his “father” to unadopt him… and the grandfather just breaks down and then Dal Po breaks down and I broke down and NO ONE COULD FIX US. Tears! So. Many. Tears. This scene was directly after the emotional arrest of his old brother… which already had me skirting the edge of openly crying into my pillow. 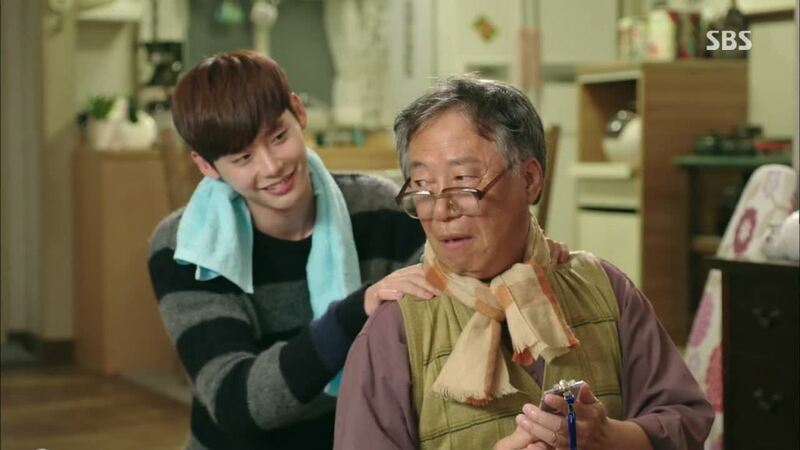 Then In Ha’s father comes in and also asks Dal Po not to leave… oh my god. Grandpa’s in his room, door closed, crying so loud you can hear him all through the apartment. In Ha’s in her room, too sad to come out and say good bye. It looks like Dal Po’s soul has committed suicide, his eyes are so dead, so tired, so full of sadness. It’s one of the saddest scenes in the history of television. I think it may have wounded me for life. My emotions may never fully recover. Thankfully, on the flip side to all this serious tragedy, vengeance, and murder… we had romance. And it was awesome. I loved to watch the two main characters fall in love. They’d basically been falling in love since the day they met. Dal Po, played by Lee Jong-Suk, the secret genius who had been hiding his intelligence to preserve the family balance… and hiding his identity… and hiding his pain. He was a young man who had learned to live with his secrets and his deceptions. Which was in glorious sharp contrast to In Ha, played by Park Shin-Hye, the Pinocchio who can not tell a lie… and thus has learned to fully face her reality and live in the most open, honest way possible. In Ha was remarkable and really, really well thought out. The impact of never being able to lie to others was fully explored in this drama. How that would change your interactions with others, with yourself. How it would change your speech and your behavior. She was so open, so vulnerable, yet so strong in herself. Her bonds with her family and friends were stronger because she lived openly and honestly. The romance was strongly linked to In Ha’s family – largely due to the fact that the two lovebirds had been masquerading as family for so long. Dal Po was already living in the house as a family member… so the dynamics of how In Ha’s father and grandfather would respond to this romance made me tense. Would they approve? Would they disapprove? What would happen??? I was biting my nails wondering. And the quirky, idiosyncratic grandfather. That jacket with the number grid on the back! His constant robbing of Dal Po’s piggy banks! His love of his family, including Dal Po… it was touching and felt real and added to the emotional impact this show had on me. The writer’s knew what they were doing. I confess I have never been overly interested in news media. I don’t watch the news. I very rarely read the news. I prefer to form my world views from fiction and from the world directly around me that I can see with my eyes and experience personally. So I didn’t think I would be entertained by the news portion of this drama. But I was! It was quite fascinating and the whole host of characters and positions and responsibilities and assignments within the news crew were entertaining to watch and discover. And this gal – the newbie news hound who was so eager, so emotional, so excited about her career and the world around her…. always listening in on conversations and eavesdropping whenever possible. I LOVED HER! GOD, I LOVED HER!!! I loved all the side characters. ALL OF THEM. There were no weak links. There were no “throw away” episodes. Each episode fed off the one before, adding layers to an overall story. It was beautifully crafted. There were so many lessons to be learned from this drama. Redemption. Forgiveness. Acknowledging mistakes. Acknowledging hubris. The importance of the truth, the merit of lies. The effects that individuals have on the collective as well as other individuals. Our blindness to others shortcomings when they are close to us. Our ability to be more ruthless to those who are close to us. Collaboration. Friendship. The comradery of the workforce. 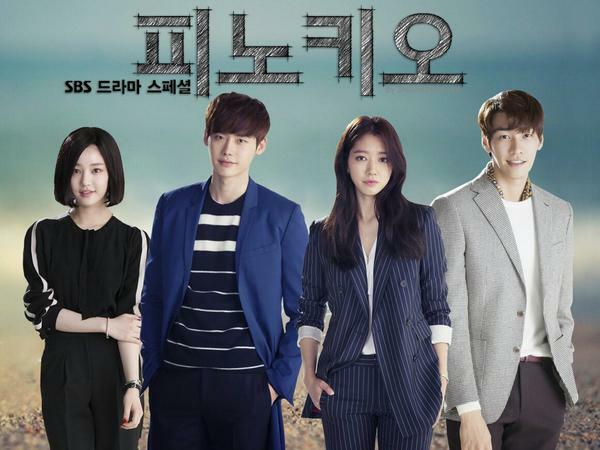 Pinocchio is truly one of the great Korean dramas of this decade and not to be missed.